Stop by Chor Bizarre for a decadent Indian meal - it's right next door to Vayu. The collection is quite expensive; so I'd save Vayu for the days you're feeling extra generous towards yourself, or a friend. First, I love that Vayu is situated in the stunning Bikaner House, which already awards it 10,000 brownie points. The store is curated really well, showcasing some of the more hidden, indie labels coming out of our country. They've got clothes, accessories, teas, books, perfume, et all. The store is also beautifully designed. 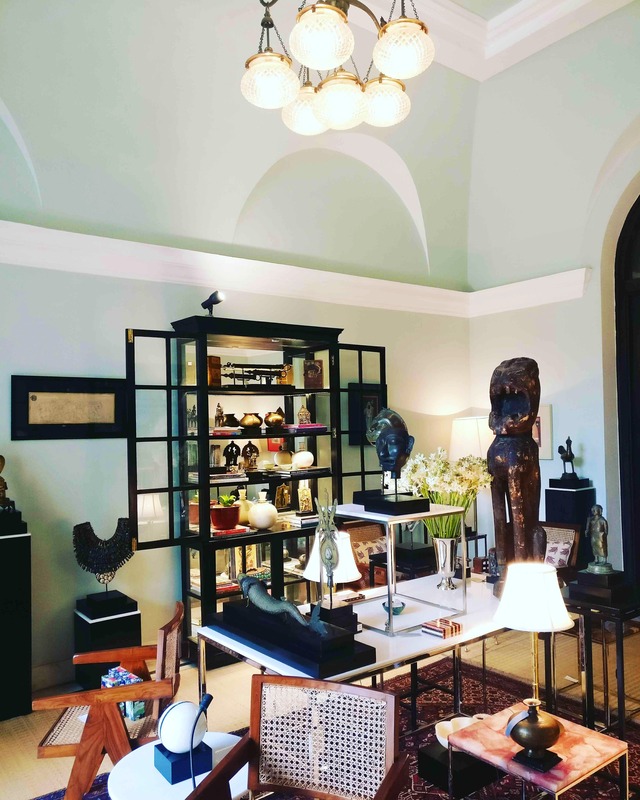 In case shopping doesn't work out for you, there's always some exhibition on at Bikaner House. They stock Bombay Perfumery, one of my favourite local perfume brands. I really like their Madurai blend.